Preliminary drawing for 'Grafton' wallpaper design, (? )brown foliage and green stems with flowers, on a pale ground. 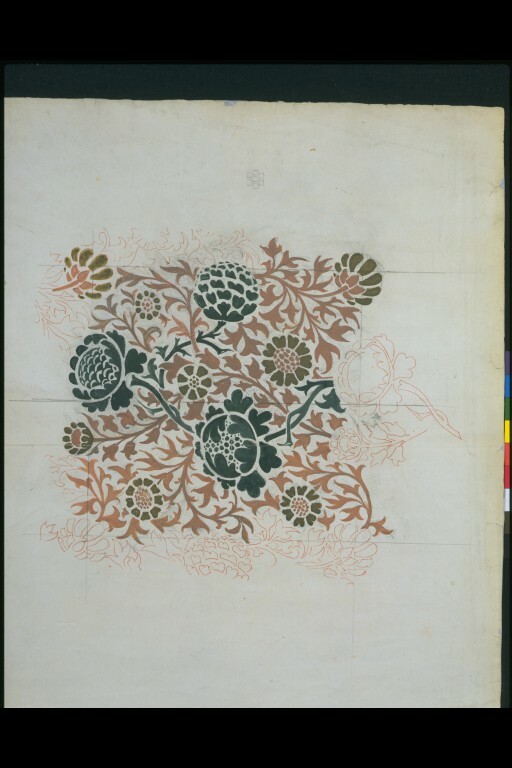 The paper is squared in pencil and there are watercolour outlines demonstrating how the design would join up in a repeat; Watercolour and pencil, on paper. 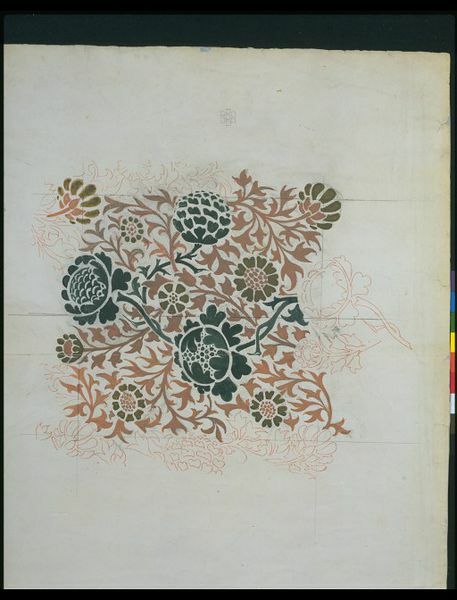 Three blocks were used to print Grafton, which was available as both a two- and three colour pattern. Preliminary drawing for 'Grafton' wallpaper design, (? )brown foliage and green stems with flowers, on a pale ground. 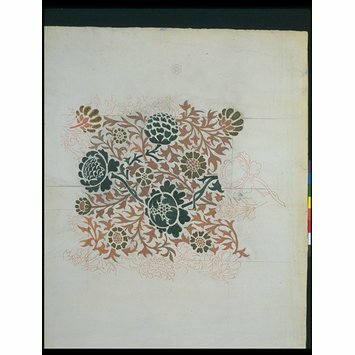 The paper is squared in pencil and there are watercolour outlines demonstrating how the design would join up in a repeat; Watercolour and pencil, on paper; Designed by William Morris; Published by Morris & Co.; England; 1883.